﻿ Sheogorath's Website - A Place for Madness! Welcome to the Sheogorath's Website! 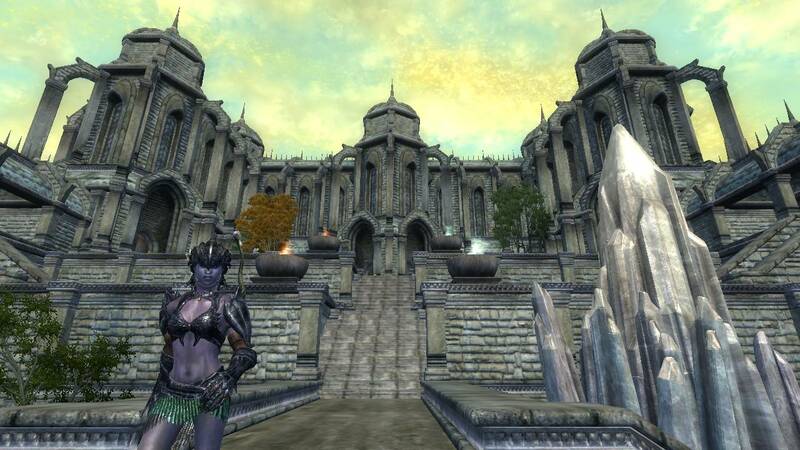 A website for mortals to know more about the Daedric Prince of Madness and his Daedric Realm. "I am a part of you, little mortal. I am a shadow in your subconscious, a blemish on your fragile little psyche. You know me. You just don't know it ... You can call me Ann Marie. But only if you're partial to being flayed alive and having an angry immortal skip rope with your entrails. If not, then call me Sheogorath, Daedric Prince of Madness. Charmed." Sheogorath is the Daedric Prince of Madness. He is also known as the Fourth Corner of the House of Troubles, Lord of the Never-There and the Ruler of the Shivering Isles. He is sometimes referred to as the Mad Star, the Mad Lord, the Mad One and the Mad God. Sheogorath was one of four Daedric Princes first mentioned in written history of Tamriel, they say he is the "Sithis-shaped hole" of the world brought into being when Lorkhan's divine spark was removed. 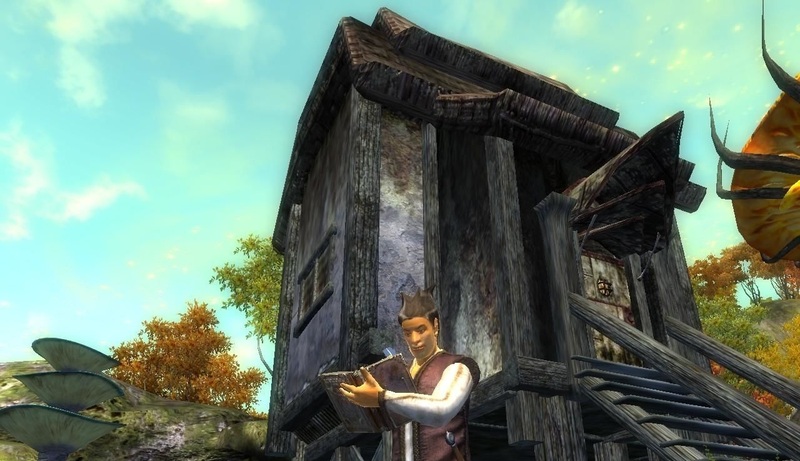 Madmen are normally driven to that state by speaking with Sheogorath, who gives them advice and information which is beyond their capacity to know. 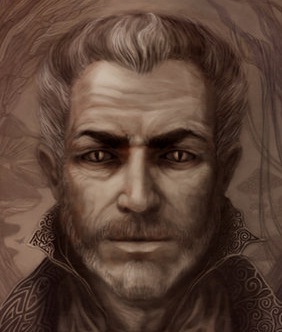 Sheogorath is one of the many prominent Daedric Princes in Khajiiti culture. To them, he is "Sheggorath", the Skooma Cat. 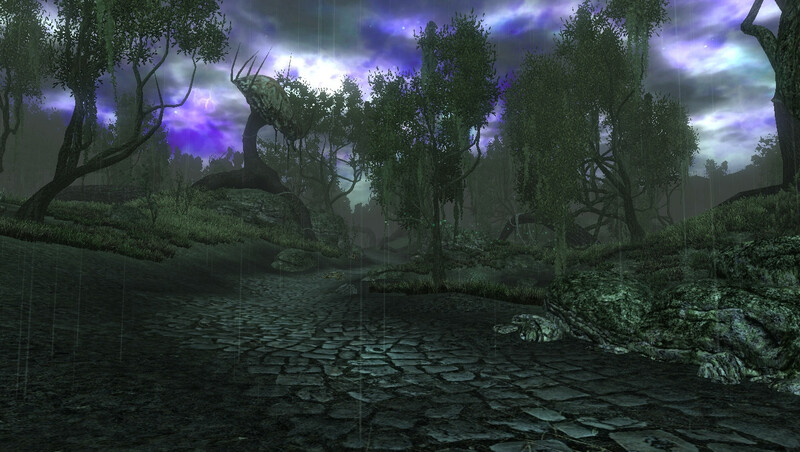 The Shivering Isles, also called the Madhouse or the Asylums, is the Daedric realm of Sheogorath, Prince of Madness. The realm consists of a main land mass surrounded by a group of smaller islands, the area of which is divided in half: the northern half of these lands is called Mania, and the southern half Dementia. 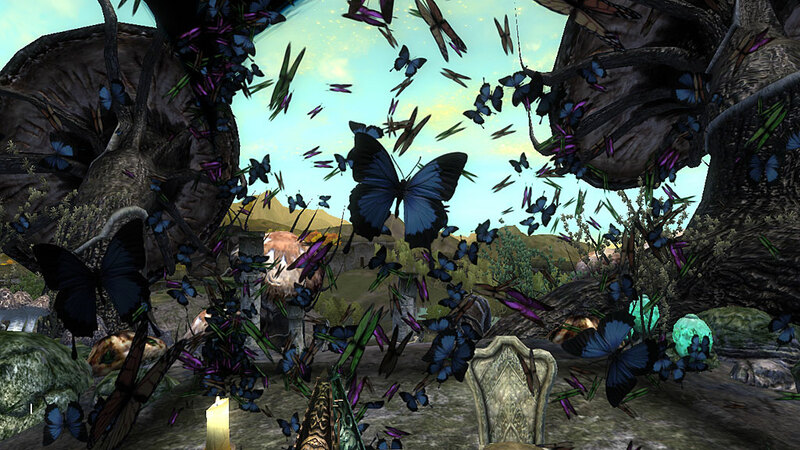 This divide represents Sheogorath's split personality, the "two shades of madness". The isles are inhabited by mortals as well as Daedra, but they have been driven insane. 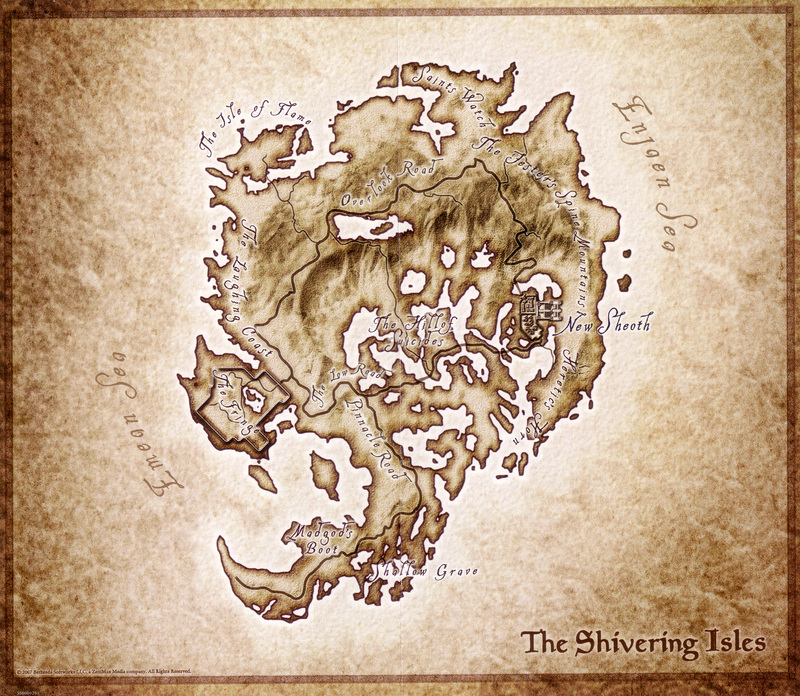 The Shivering Isles was originally the Realm of Order, the domain of Jyggalag. 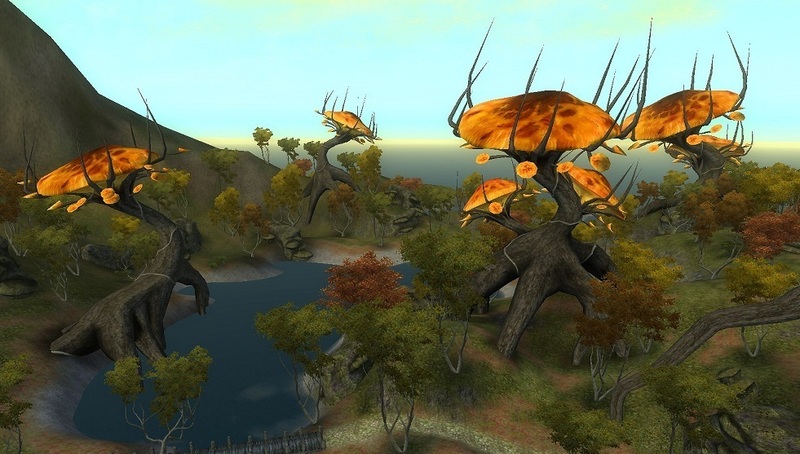 The isles are inhabited by mortals as well as Daedra, but they have been driven insane. 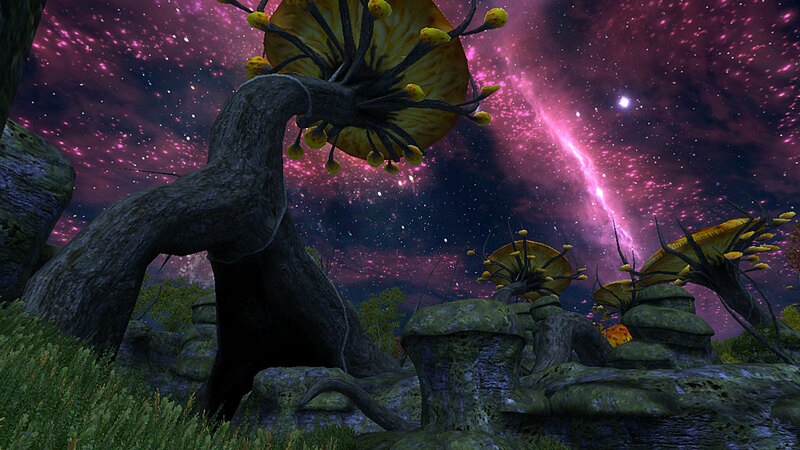 The best pictures taken from the people around the Shivering Isles, with beautiful places and points of interest. Contact Us Speak with the Mad God himself! 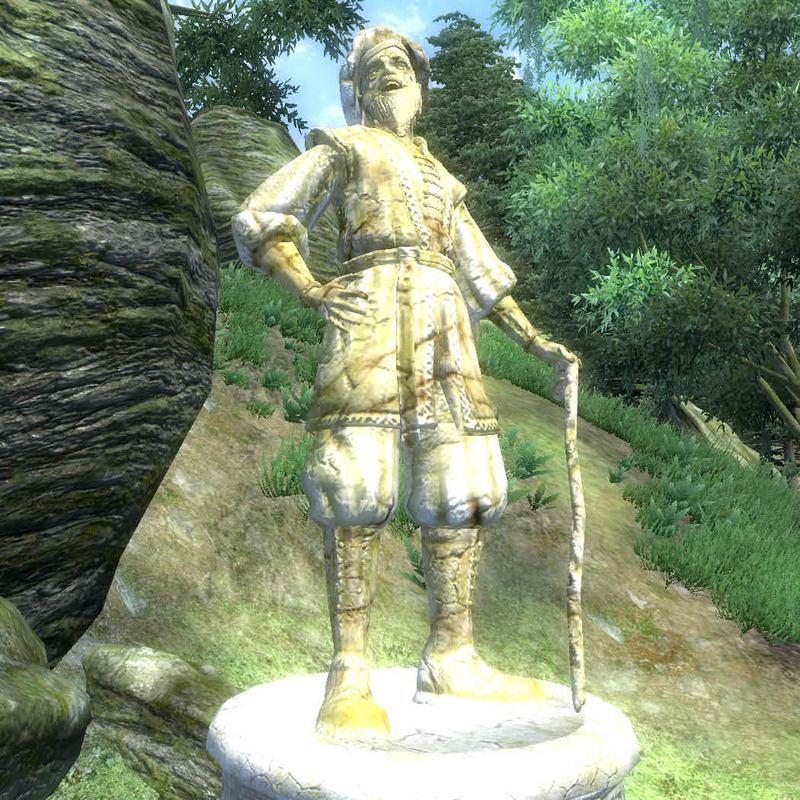 Once you have reached level 2 (or be strong enough to lift a sword), travel to the Shrine of Sheogorath and speak with anyone who may be wandering around the shrine. Acquire one sample of Lettuce, a Lesser Soul Gem, and a spool of Yarn and offer them to the shrine. Travel to some place Sheogorath orders to and do whatever he says! Return to Sheogorath, speak to him and receive the Wabbajack (or a slice of cheese, which is very common) as your reward. © 2015 Sheogorath's Website - A Place for Madness!